Among the plethora of healthy desserts that have swept across our Instagram feeds during the last few years, what is known as nice cream (or banana ice cream) has probably become one of the most popular, especially in the vegan sector. And while I am absolutely all for something that tastes like pudding but won’t pile up along your waistline, the strong banana taste of your typical nice cream can sometimes be a little overpowering. Which is why I decided to try something different with my frozen smoothie protein bowls – replacing the frozen banana with frozen mango. This resulted in the most delicious, smooth sorbet-like dessert anyone ever had for breakfast – which I enjoyed without the slightest trace of guilt. It is also perfect for a pre- or post-workout meal and will replenish your energy supply in no time. These fibrous, juicy yellow fruits are wonderful for your hair, skin, muscles, bones, etc. 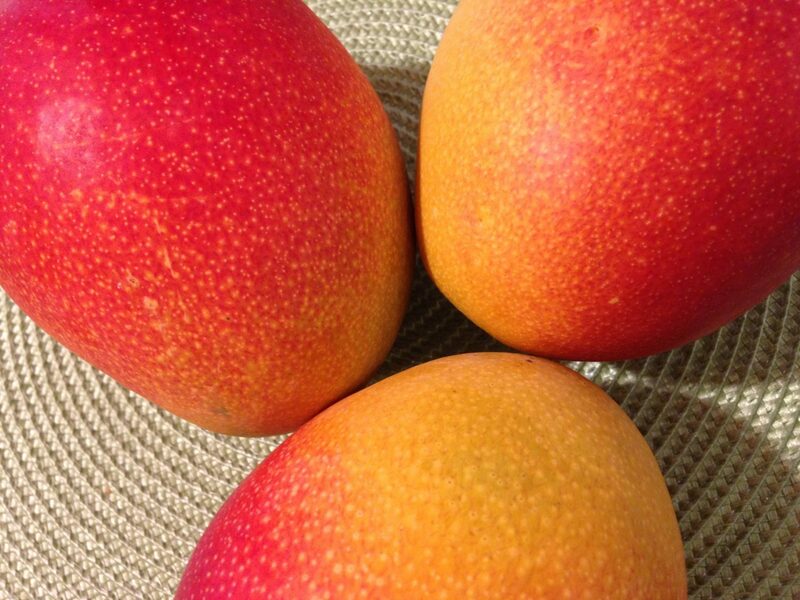 Click on the link for the health benefits of mangoes. Sprinkle some sesame seeds, nut butter, coconut flakes, or goji berries on top for extra chewiness and flavor. 2. Once the mango is frozen through, place the chia seeds, protein and collagen powder into a high-power blender and blend until it becomes a fine powder. 3. Add the mango, milk and ice cubes and blend with the powder until you have a smooth consistency. 4. Scoop out into a bowl and serve with the toppings of your choice. A big part of staying healthy is sticking to a diet that is rich in nutrients and low in calories. Some foods go beyond these basic requirements, and boast amazing health benefits that will help you stay fit and feel amazing. The next time you find yourself at the farmer’s market, or at your neighborhood grocer, look for these seventeen amazing superfoods.